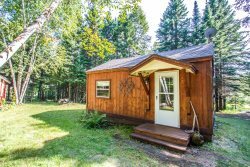 Hovland Pines is a private and lovely cabin perfect for a retreat in Hovland, MN. Eight state parks are located along Minnesota's North Shore of Lake Superior. Find a list of the parks below, beginning with the parks closest to Duluth and ending with Grand Portage, the park closest to the Canadian border.